Since 2014, the OkCash community has grown a lot. It grew in users and contributors/core members. With that being said, OK wants its community to know more about what is going on behind the desk. Our monthly news will include new projects, new updates, update on our tutorials and pretty much everything regarding our coin evolution. This might be our first monthly article, but it's far from being the very first article about OkCash made by its team. You can read the articles on medium at OkcashNews. 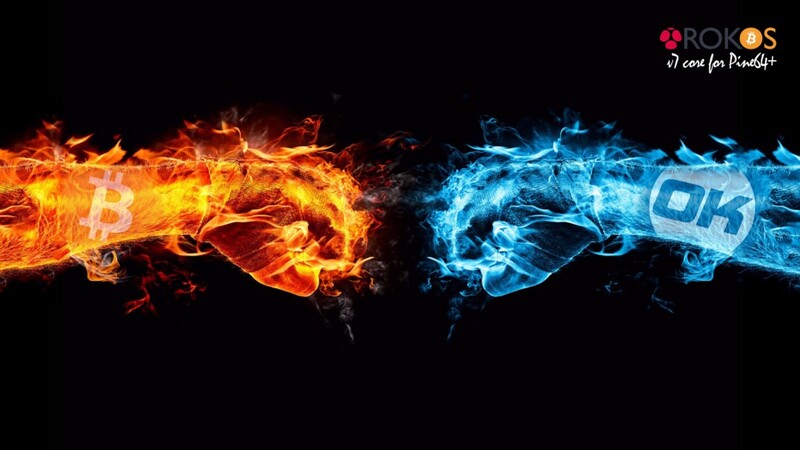 These articles reflect the spirit of OkCash, the potential and what it really is and an easy way to understand it. There's also a Christmas article about Bitcoin and OkCash up on medium, which talks about how cryptocurrencies can be a good Christmas gift for your friends and loved ones. November has been a busy month. With the release of the ROKOS v7 Core that has been made on the 31st of October. You can read about what ROKOS is here. The wallet was also only available for Ubuntu 14, but Oktoshi worked hard to make it available for Ubuntu 16 as well. There was also a new wallet version released (4.0.0.3). With all these updates and with ROKOS v7 released, new tutorials have been recorded and typed to help everyone that encounters any problem with installer or compiling and building their wallets on windows, Ubuntu 14 and 16. Textual tutorials have also been made for ROKOS. Every tutorial can be found in our newly created OK Tutorials Library. Thanks to shbour for making the tutorials. French tutorials are on their way, along with Portuguese tutorials. Demartini, one of our devs, created an Okcash Price Ticker for chrome. You can set which exchange you want it to look at. Have easy access to the block explorer, OK website and many more options. You have download and read about the Okcash Price Ticker here. Talking about OkCash website, oktoshi has set up a new website backup mirror for okcash.co and there was a design update on our forum website at okcashtalk.org. Also, an easy place to follow all halving date and approximate time of okcash has been created at http://okcashblockhalf.com. 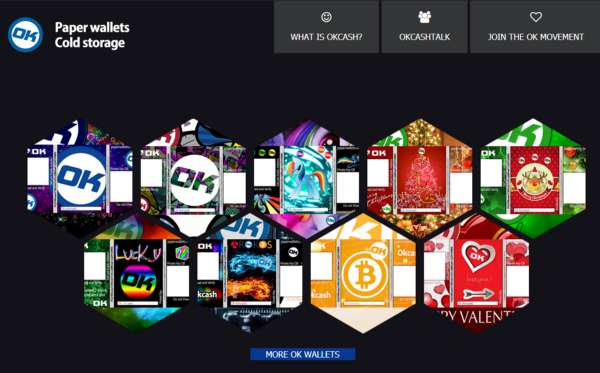 One of our dev/tech, greenbigfrog, have updated all the AUR packages and desktop files for the new okcash wallet and updates that have been made recently. There's also a simple GitHub tutorial on how to call OkCash's API using PHP, that was made by Oktoshi. OkCash has been officially funded to be added to the Noble mobile wallet, make sure to update your Noble wallet to be the first ones to be able to have their OK on Noble. OK also made a video about OkCash to explain how useful it can be for businesses, how to accept OkCash and the benefits for everyday people. OK have been added to BTCpop exchange, which also allows you to stake your OK on their platform, so that you don't have to run your own wallet at home, as well as trading and other things you can learn about over there. To help spread the word and to the world the OK message, the very first OK flyer has been created by @rnz. It is small, colorful and can easily catch your eye. OK would also like to welcome and introduce you to our new head of "Free energy research department". Kultus is a great man that has been studying many ways to make free electricity. His main project is the Atmo motor (Atmospheric motor), which consists of harvesting the electricity that is in the air 24/7 to run itself on. You can read more about his research here. Our 2nd birthday, which happened on the 25th of November, that was announced on thunderclap was a great success. With more than 110 people that signed in and more than 650,000 people reached. During that event, our discord channel was flooded with activity. We met new interesting people and had a great time. There was an approximate 18,000 OK that was soaked and rained throughout the day. To celebrate our birthday, Bitcoindood had an interview with Oktoshi on a few things involving OkCash including side projects and some bits of future projects. I recommend you to have a look at it. OkCash has also been added to the revex cryptocurrency and exchange review website. You can have a look at our review and read a few feedbacks here. The OK paper wallet has been officially released on the 6th of December 2016. All wallets can be found on the website Oktoshi has created exclusively for it. A tutorial about how to import your paper wallet private key to your online wallet will be made in the following weeks of this article. Also, CGB, also known as Crypto German Bro, started a contest valued at 10,000 OK for who will upload the best Christmas themed picture with their paper wallet. You can read the details on our forum. See you on our next DYOR community dev update! Print out your OK paper wallets, give the best present to family and friends in an eternal gift like Okcash. Have an Happy Holidays for those who celebrates it and Happy new year.